The following is a guest post about cutting yearly expense. If interested in submitting a guest post please read my guest post policy and then contact me. What’s your biggest one-time expense every year? Not what you spend the most money on total (probably housing or food), but the biggest one you pay just 1 -2 times? I bet it’s your vacations or travel plans… Or that travel is at least in your top 3. And that makes it a smart target for cutting, because the bigger the expense, the bigger the savings, if you’re able to reduce it. Most budgeting articles give you tips on how to cut your small or medium sized expenses. Those strategies, like saving on groceries, can definitely help your bank account. But I’m here to cover how to dramatically cut that huge expense you pay just a few times a year – your summer vacation, the regular trips to see family or friends, or that winter getaway. The following is an outline of a savings system I use to “hack” travel costs – one that’s successfully helped me buy all my plane tickets over the last few years for over 90% off normal prices. It involves using credit card rewards and frequent flyer programs. Most of us know that certain credit cards give you good rewards; 2% – 3% cash back on spending, even up to 5% in special areas. Those are nice, but the real opportunities are in cards with big signup bonuses. My travel hacking system strategically uses those types of bonuses to pay for almost all your airfares. Where do you want to travel? For this system to work you have to think long term and choose a destination at least 6 months before you want to travel there. Ideally you’re planning even farther ahead, for a trip over 8 months out. If that sounds a little extreme, just remember: you’re putting in strategic work to save yourself hundreds of dollars or more… This is worth it. You’re planning so far ahead because you won’t be paying for the flights on this trip with cash. You’ll be paying with frequent flyer miles. People normally earn miles as a bonus for flying a paid flight; this travel hacking system uses special credit card bonuses to earn you enough miles to secure an award flight to any destination you want. This part can get a little complex, but we’ll stick to the basics here. The miles you need depend on your destination. Assuming you live in the United States, your destination falls into one of two categories – International (like Europe, Asia, etc.) or Local (somewhere in the continental U.S.). If you’re going international, you want United Airlines miles or American Airlines miles. If it’s local you can choose United, American, or Southwest Airlines. So you need United Airlines miles – An award flight on United from the U.S. to Europe costs 60,000 miles (vs a paid flight cost of ~$800 – $1,000). The way to get those miles is by signing up for the right credit card. At the time of this blog post, Chase Bank has an offer for a United Airlines branded credit card that gives you 55,000 miles for signing up. For our trip to France, that leaves us short by only 5,000 miles. There are a couple of ways you could bridge that gap; one is by transferring Chase Ultimate Rewards credit card points into United Airline miles. Let’s assume for this example we can do that. This is another step that can get complex, but if you have a credit score that’s above 700, you should be approved for this card. Earning a signup bonus requires spending a certain amount of money (the “spending minimum”) within 3 months of opening the card. 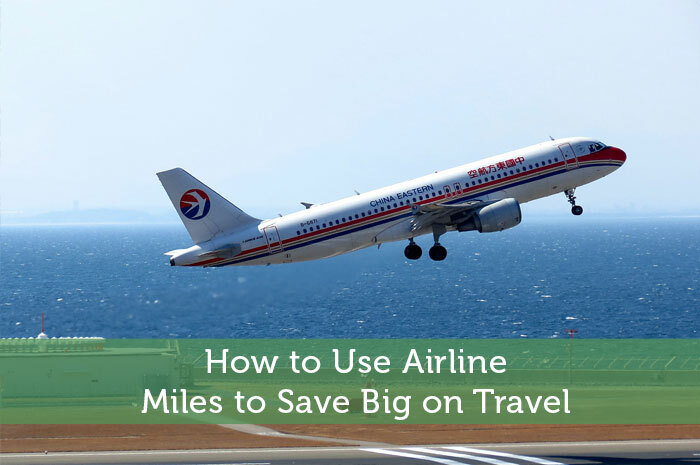 By now you can see why this strategy requires some long term planning – you need 3 months to earn the frequent flyer miles you’re going to use to buy your plane tickets. You’ve now earned your 55,000 United miles, and have gotten the additional 5,000 either by spending on the card or transferring Chase points into United Airlines miles. Now it’s time to find and book your award flight! For United it’s straight forward – you go to www.united.com and search for an award flight. To make sure it’s an award flight, choose the option “Search By : Award Travel” at the bottom of the flight search box. Note: You can do this right now and see award flights, without having the miles or an account with United… Try it out! From there you’ll see award flight availability. Select the SaverLevel award flights (the least expensive), and when you get to the purchase screen, you’ll log into your United account and use your 60,000 miles to pay for the trip. There will only be small cash charges – typically under $100 for international flights and under $25 for U.S. flights. Just like other powerful personal finance strategies, like investing for retirement while you’re young, this travel hacking process requires some longer term planning and a little work. But the rewards are well worth it – You can save at least $500 on every trip you take. I covered the process above at a high level… Each step has its own complexities when you dive in deeper. Scaling the process up into a repeatable system also gets complex quickly. If you’d like to learn more about travel hacking, including specific strategies for earning miles and finding award flights, I teach an in-depth online class on the topic. It’s called Travel Hacking: How to Travel the World for Next to Nothing, and it has detailed video walkthroughs of how to execute the steps above, along with other tactics for maximizing your travel hacking returns. Check it out here to learn more and join over 800 students taking the class. Author Bio: Huntly Mayo is the founder of the blog Personal Wealth Basics. He writes about high-powered wealth building and teaches people how to travel for next nothing in his full feature online class Travel Hacking. I love rewards. My friends and I applied for a frequent travel membership. She applied first so she would collect the rewards after every travel. Both of us travel every year, so I would have accumulated tons of miles. Sadly, didn’t apply sooner. But now, I see that the rewards are great, I would enjoy both traveling and rewards now. Use it for upgrades or for purchases.